Hank Siefke, age 85, of Alliance, died August 4, 2018 following a brief illness. Hank was born May 9, 1933, in Lisbon, Ohio, to Henry H. and Johanna B. (Muhle) Siefke. A 1951 graduate of Lisbon Anderson High School, Hank married his high school sweetheart Joyce Irene Flugan on June 25, 1955. Hank began playing high school baseball during his senior year and was a skilled pitcher. While playing for the semi-pro Youngstown Home Club in the summer following his senior year, a scout from the Philadelphia Phillies offered to sign him. Hank had plans to attend Mount Union College however and was the starting pitcher his freshman year. Drafted during his junior year, he went on to play for the Army baseball team stationed in Germany during the Korean Conflict. Upon his return, he continued playing baseball at Mount Union where he was a member of the M Club and the ATO fraternity before graduating with a business degree in 1958. Hank began his 24-year career with Alliance City Schools as a teacher at State Street Jr. High and finished as a counselor at Stanton Jr. High where he also ran the Environmental Enrichment Program for at-risk youth. He also enjoyed coaching Alliance's football, basketball, and track teams. After retiring from the school system, he built a career in real estate and was later joined by his wife. Hank then went on to manage golf operations at Great Trail in Minerva and Sleepy Hollow Country Club. 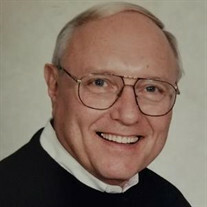 Hank was a member of St. Joseph Catholic Church, and a 35-year member of the Alliance Country Club. An avid golfer, Hank traveled to Scotland twice to play. He enjoyed traveling, watching the Cleveland Indians, Ohio State football and basketball, and especially wintering in Naples, FL. Survivors include sons, Michael (Karen) Siefke and Bradley (Sheri) Siefke, both of Alliance; daughter, Michelle (LeWayne) Bryan of Logansport, IN, daughter-in-law, Beth Toney of East Sparta; grandchildren, Natalie (Cole) Deason, Benjamin Siefke, Dr. Jacob Bryan, Zachariah (Lauren) Siefke, Evan Siefke, Tyler Siefke, JaiLynn Reeve, Cody Kaser, D.J. Kaser, and Christina Tallant; great-grandsons, Tristan and Spencer Deason; brother, Joe (Marian) Siefke of Lisbon, sister, Helen Loutzenhiser (John Ebert) of Cranberry Township, PA; and several beloved nieces and nephews. He was preceded in death by his parents and his wife, Joyce Siefke, who died May 18, 2014. A Memorial Mass of Christian Burial will be held at 11 a.m. Monday, August 20, 2018 at St. Joseph Catholic Church with Fr. Matthew Mankowski officiating. Friends may call from 4 to 6 p.m. Sunday August 19, 2018 at Cassaday-Turkle-Christian Funeral Home. Memorial contributions can be made to Mercy Hospice, 4367 Whipple Ave. NW, Canton, OH 44718.